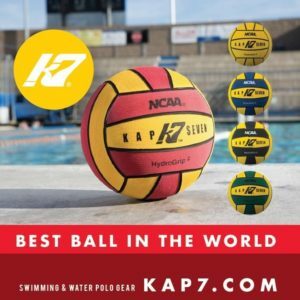 BERLIN, Germany – The USA Men’s National Team dropped a 10-8 match to Hungary in FINA Men’s World Cup quarterfinal action on Friday. Luca Cupido (Santa Margherita, Italy/California/Olympic Club), Johnny Hooper (Los Angeles, CA/California/LA Premier) and Ben Hallock (Westlake Village, CA/Stanford/LA Premier) each scored two goals in the loss with McQuin Baron (North Tustin, CA/USC/NYAC) making 11 saves in net. Team USA returns to play Saturday in the 5th-8th place bracket when they meet Japan at 8:00am et/5:00am pt. All matches stream live and are available on-demand on FINA TV by visiting FINATV.LIVE (subscription required). For more information on the Team USA roster, schedule and new rules that are being tested at this event, click here. Hungary took control of the match early building a 5-2 lead in the first quarter. 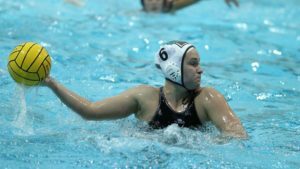 Team USA was able to keep things level in the second quarter as each side mustered just one goal for a 6-3 game at halftime. In the third quarter Team USA made their charge and drew to within a goal at 7-6 with 1:29 to play in the quarter following a Hooper penalty shot score. Hungary responded immediately with two straight goals to lead 9-6 going to the fourth. In the fourth quarter Hungary lead 10-8 as Team USA tried to rally but attempts in the final minutes of the match were off the mark. Team USA went 6/18 on power plays and 1/2 on penalties while Hungary was 4/18 on power plays and did not attempt a penalty. « Are We Sure that Morning Finals at the Olympics is Bad for Athletes?